This Review gives an overview of intersting stuff I stumbled over which are related to machine learning. Most of it was posted in KITs machine learning group (on Facebook). A lot of stuff can be found in my article about NIPS 2016. Random forests for courier detection: Has a rampaging AI algorithm called Skynet really killed thousands in Pakistan? 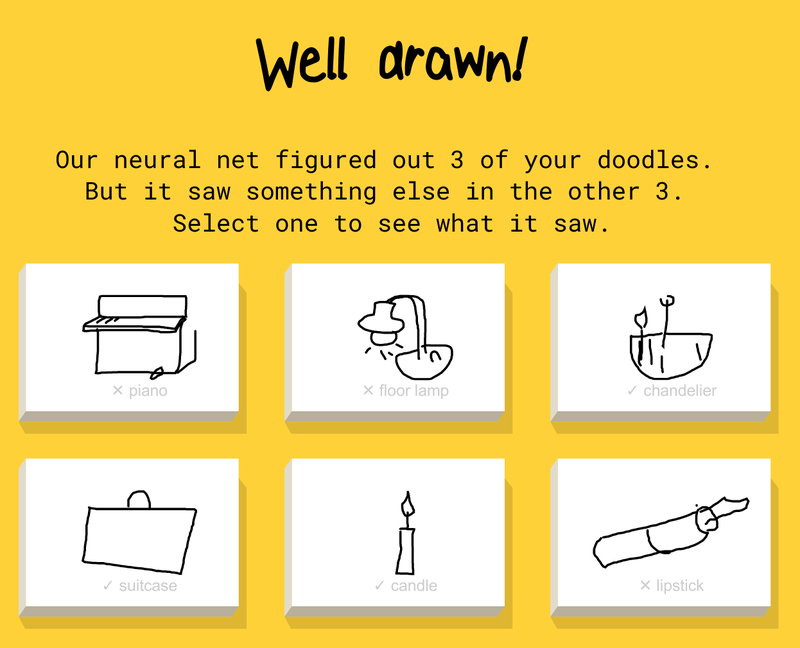 Quickdraw is a program which tries to guess what you drew. However, it is difficult to check if they really apply machine learning, because it tells you what to draw and then tries to recognize it. I had to draw a piano, a floor lamp, a chandelier, a suitcase, a candle and a lipstick each in under 20 seconds. You might find more stuff like Quickdraw on aiexperiments.withgoogle.com. lossfunctions.tumblr.com is a blog created by Andrej Karpathy where he collects - well, let's call them "interesting" - loss functions. Have you heard about GANs? Eyescream is a demo for the generator. An image, on which a human does not recognize anything (e.g. white noise) gets a high score for some object class. An image on which a human is certain to recognize one class (e.g. "cat") is manipulated in a way that the CNN classifies with high certainty something different (e.g. "factory"). Anh Nguyen, Jason Yosinski, Jeff Clune: Deep Neural Networks are Easily Fooled: High Confidence Predictions for Unrecognizable Images on arxiv. Evolving AI Lab: Deep Neural Networks are Easily Fooled on YouTube in 5:33 min. Google: Inceptionism: Going Deeper into Neural Networks. 17.06.2016. Andrej Karpathy has once again written a nice article. The article describes the problem that linear classifiers can be broken easily. Hinton commented something simmilar on Reddit. One gives the neural network a photo and it tells you where it was taken. "Why Should I Trust You? ": Explaining the Predictions of Any Classifier deals with the problem of analyzing black box models decision making process. See the paper LipNet: Sentence-Level Lipreading for details. 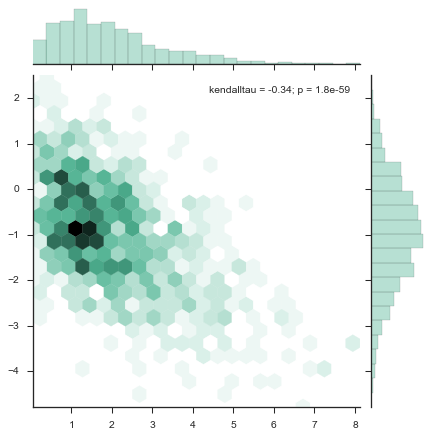 Seaborn is a Python package for the visualization of data and statistics. Jörg made recnet publicly available. It is a framework based on Theano to simplify the creation of recurrent networks. I didn't try it by now, but the images in the article Image Segmentation Using DIGITS 5 look awesome. I would be happy to hear what you think about it. Run Keras models (trained using Tensorflow backend) in your browser, with GPU support. Models are created directly from the Keras JSON-format configuration file, using weights serialized directly from the corresponding HDF5 file. When being in a perfect “Long Valley” situation, does momentum help? Why do CNNs with ReLU learn that well?